"The Resort should be very proud of the staff that they have, not just with in the hotel complex itself, but in particular the staff in the Event's Department. On the Friday, we had problems with Doctors, Nurses and Practice Staff that were attending our training course, flying in from Brisbane. Due to the weather they had to be transported by bus and your events personnel swung into action, to ensure that these persons were collected from the terminal, and brought over to the island. Upon their arrival sandwiches had been organised for the tired and weary travellers to ensure they had something to eat. Thank you. The staff within the Resort were most helpful, no matter what the problem was. Nothing was too much trouble. But I must say a special thank you to the Events Personnel, Lizzie, Alex and Laura for everything they did to ensure that our Training Conference went smoothly, and they made sure that every one of our attendees was looked after no matter what changes were made to their itinerary. We would have no hesitation in recommending your Resort to other companies, and we will definitely be holding another Training Conference at your establishment in the future. Thank you again to the Events Personnel for assisting us in making this a very successful event for our Company." "As we landed in Harvey Bay we were welcomed with nothing but warmth and smiles from the team at Kingfisher Bay Island Resort … not to mention the amazing warmth and smiles from the Sunshine too. Everything was just perfect, we were happy and anticipating on what exciting adventures lie ahead. The ferry ride to the island was very short but sweet, and we were soon greeted by the Islanders in white 4WD’s. 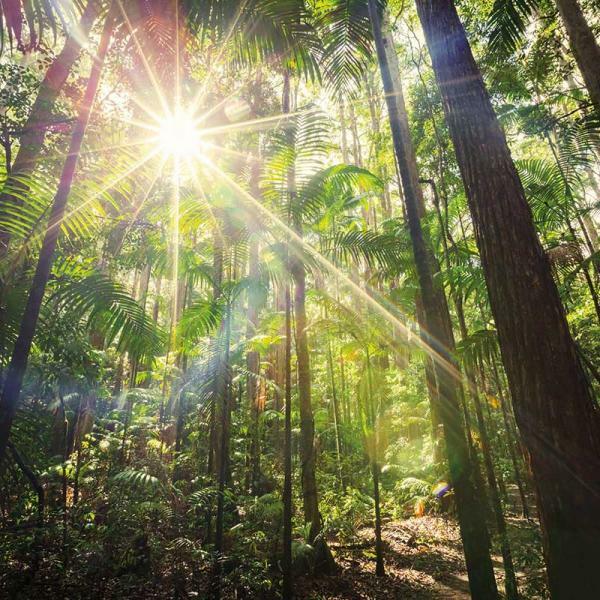 Our first destination was to view the array of eco wilderness accommodation on Fraser Island… this ranged from treetop villas with Jacuzzi’s, Executive Villas, Kingfisher Houses, Wilderness Lodges, to Resort hotel rooms. We then had the opportunity to view the resort along with the well equipped Meeting and Events facilities. The natural lighting in all rooms was huge factor for all day conferencing, and there was great variety of locations to suit all potential event organisers looking to book conferences, leadership meetings, product launches, incentives, ceremonies, weddings, awards nights and gala dinners. Our imagination was just running wild, as anything was possible. We were then blown away by our incredible welcome interactive lunch – with the freshest of local Seafood, bush tucker - also grown in the resort’s backyard… flowing bubbles and pinot gris made us very joyful and the food was just spectacular both presentation and taste. The service by the staff from the Head Chef, Event Manager and waiters was just impeccable. The home grown talent also took our breath away with the earthy voice of such a talented acoustic singer and guitarist/ Bush tucker guru… it was all about ambience and we certainly knew that this was only just the beginning of the perfect island adventure…. It was only Day 1! I hope this provides you with a palate on what the island has to offer… there is a multitude of activities, wildlife, crystal clear mirror lakes, and provides the perfect meeting, incentive, conference venue for delegates to get away into the wilderness to refresh, revitalise and review. We were certainly surprised and impressed with every moment we had on the island. But you will have to come visit the Island for yourselves to embrace the magic. A huge thank you to Leonie Belbin and Amber Stanley – so very grateful for everything they have done." "Kingfisher Bay Resort is a beautiful and secluded resort that caters for all types of guests. 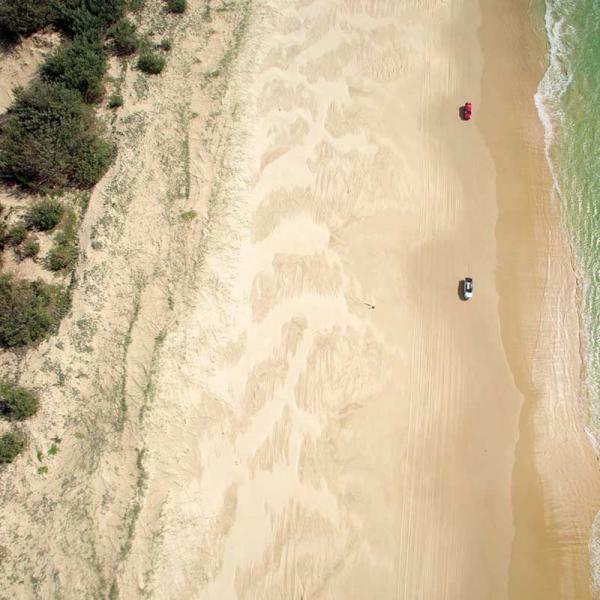 Escape and spoil yourself without having to leave the country at Fraser Island, with plenty of beach, rainforest and sand-dune activities to choose from, amazing food and service by friendly and helpful staff." "Who knew that a few days of famil would become such a memorable long weekend away! It helps, that the group of people I was travelling with were superb company. It helps too, that the weather could not have been more perfect had we pre-ordered it ourselves. Even without those things the majesty of the island which is brimming with wildlife encounters, and pristine beaches that crown the endless coastline, would be enough to hold its own in any conditions. In the heart of it all, the Kingfisher Bay Resort. 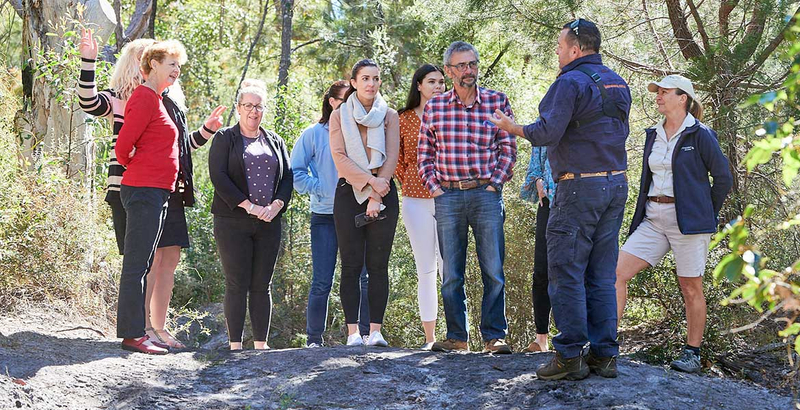 A plush, exciting and friendly nucleus that brought in all the diverse magic of Fraser Island and showcased it in so many creative ways… I felt I could almost be a tour guide myself by the end. The authentic menus feature the local ‘bushtucker’ with fine dining style creative genius. Ask my scales what happened when I got home and they will testify. The accommodation is private and comfortable with sensational outlooks. The resort and its facilities create the wow factor that you want when you bring a group of people away, be it a large corporate group or your own family on vacation. Everything is accounted for and you really feel like you have gone somewhere special. It’s a place where you get your head out of your day to day life and you feel energised and inspired. This amazing product would be nothing without the people who make it happen. Every staff member we encountered, from guides, to chefs and receptionists are clearly taken with the lifestyle of the island and deliver that enthusiasm to you in spades. Combine that with the extraordinary hotel management and events staff who are passionate about making every experience unique and memorable and I have no hesitation in recommending this destination to anyone looking for a vibrant and fresh idea for your next event." "I recently had the opportunity to enjoy this fabulous resort on Kingfisher Bay Resort. The activities especially the sand dune experience with a very knowledge tour guide and scenic flight over the Island was a magnificent and spectacular experience. I stayed with a group of professional ladies for the weekend and we were greeted by a stunning view from our rooms alongside with a fantastic Bush Tucker Experience by the ever so creative and professional chefs at the resort. The check in was seamless and all the staff went over and beyond to make our stay an unforgettable and pleasurable experience. Thank to Leonie who hosted us during our stay and for her professional and kind and warming personality.. A big appreciated thank you to you and your staff for an enjoyable stay"
"Thank-you for the truly wonderful opportunity to attend the “Fraser Island” Famil last weekend. The overall experience was absolutely fantastic with such a memorable time had. The room was extremely well appointed and the views from the balcony over Fraser Island onto Hervey bay – Breathtaking! 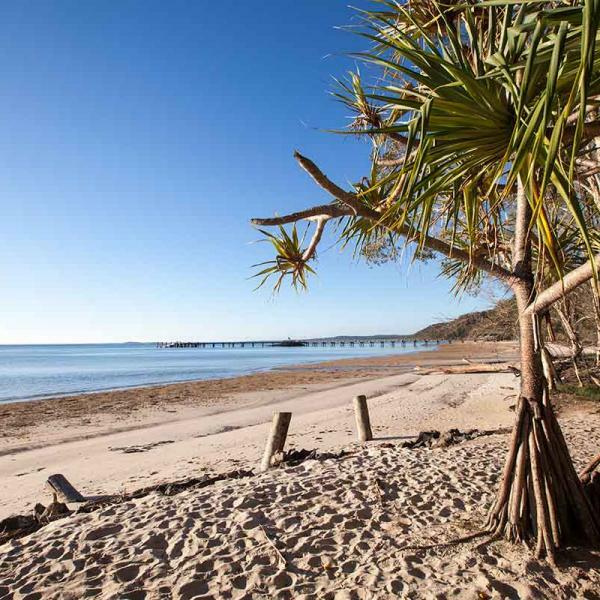 The overall Fraser Island staff were friendly, helpful and couldn’t do enough for you. The quality and presentation of food, beautiful wine and resort ambience was truly outstanding. Our 4 wheel drive tour guide – Peter was exceptional his knowledge of the area and surrounds was nothing short of brilliant! The beautiful scenery, whale watch tour and weather nothing short of perfection ... ! 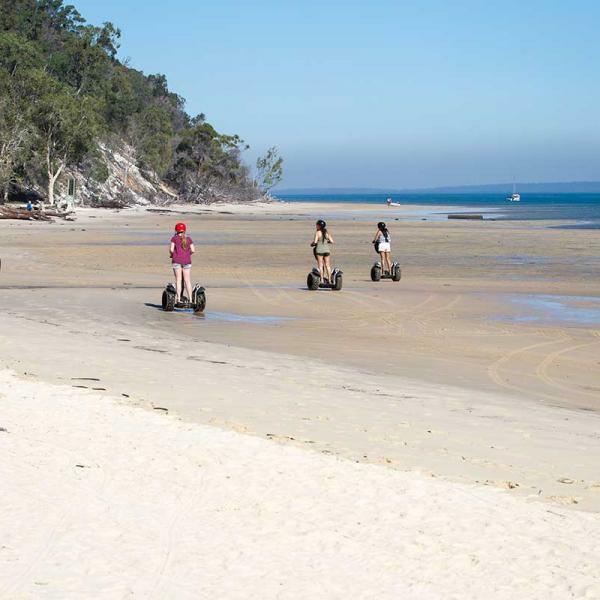 I would highly recommend “Fraser Island Resort - with no hesitation! Thank-you once again for the incredible hospitality and do hope to come back again."